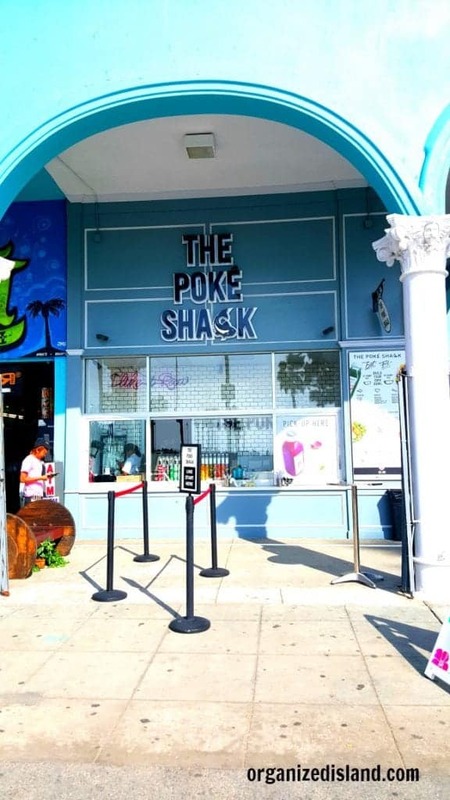 We were invited to check out The Poke Shack last week. What a treat it was – a small taste of Hawaiian paradise right on the boardwalk of Venice Beach. This eatery, which is literally a shack, offered a Poke Bowl heaven with an extensive list of fresh ingredients to choose from. 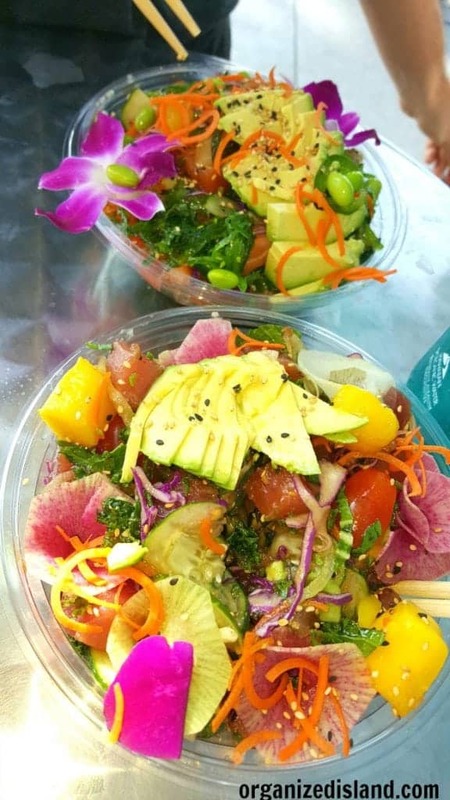 You might be wondering – what is a poke bowl? 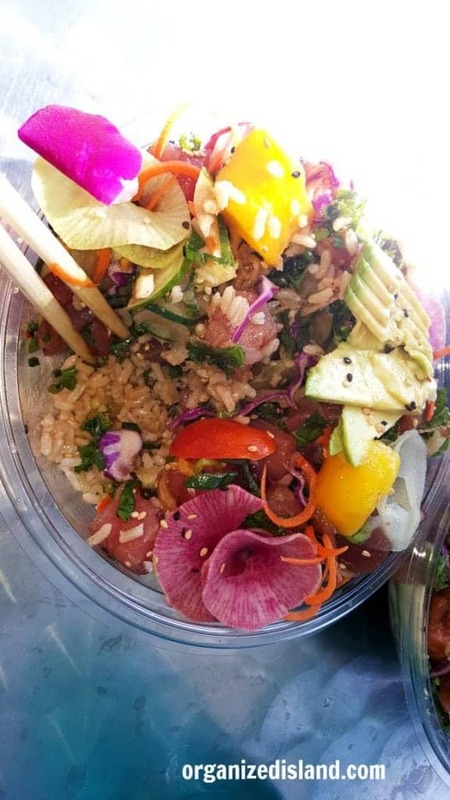 A poke bowl is a Hawaiian dish made of fresh fish, vegetables and other fresh ingredients. The word “poke” originated to mean “to cut crosswise into pieces”, referring to the way that the fresh fish was cut. Poke is raw Ahi or Salmon marinated in shoyu. In Hawaii, the Poke is marinated overnight which deepens the red color of Ahi Tuna. At The Poke Shack, they use a technique which allows them to marinate the fish in front of the customer. If you’ve never had poke before, but are a big fan of sushi – you’ve got to try it! [Think of a poke bowl as a giant deconstructed sushi roll.] 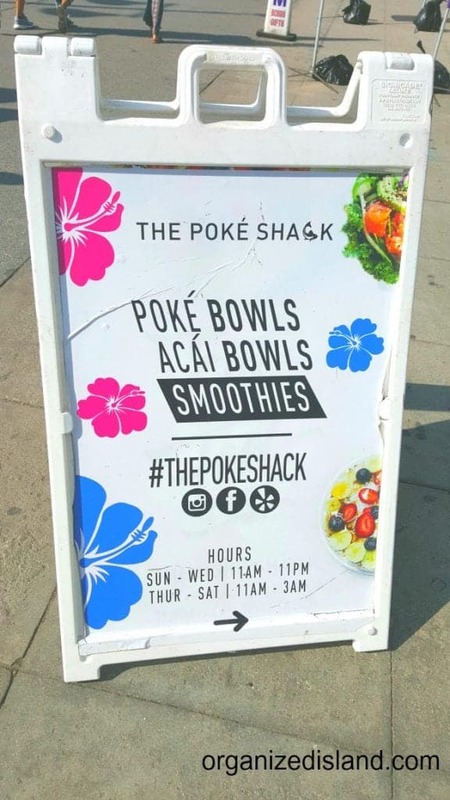 The best part about going to the Poke Shake is that each order is 100% customizable. If you are craving a more hearty meal, you can get it with rice (brown or white); or if you’re more of a salad lover, get it on a bed of kale or seaweed. The proteins they offer include ahi tuna, salmon, shrimp, or tofu. The one thing I will say about this boardwalk location is that there isn’t really anywhere to sit down & eat. There are a few tall standing room only tables, but I think most people get it to-go or eat it on the beach picnic-style. 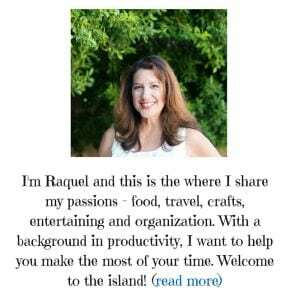 If you are looking for more of a restaurant atmosphere, maybe try one of their other locations. Overall, a very healthy, refreshing lunch option. Next time I would love to go back & try one of their smoothies or acai bowls! 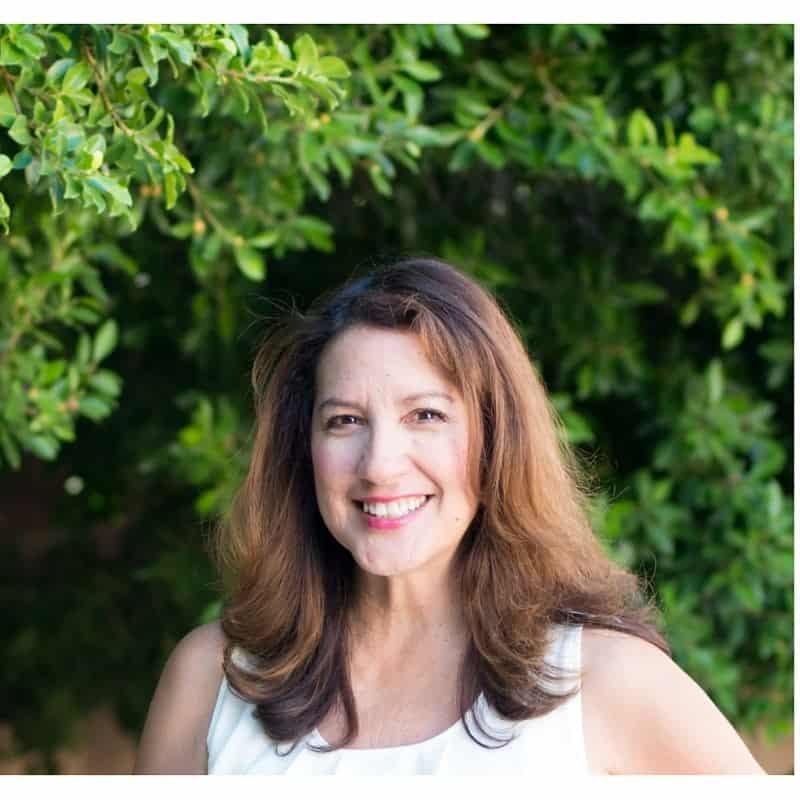 If you have a Pinterest board, be sure to pin this to check out when you are in the area. You can also follow them on Instagram. 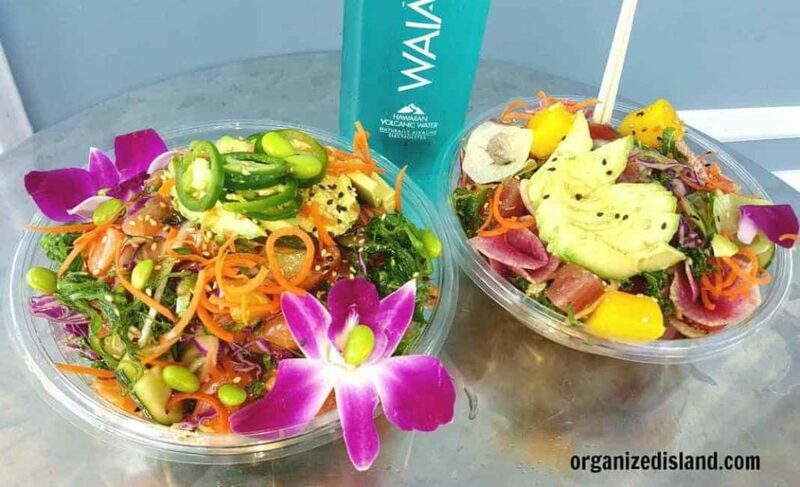 Have you had a Poke Bowl yet? YUM! While I would love to recreate this, I’d have to leave it up to the pros! Same here! I am not sure I could do it justice.